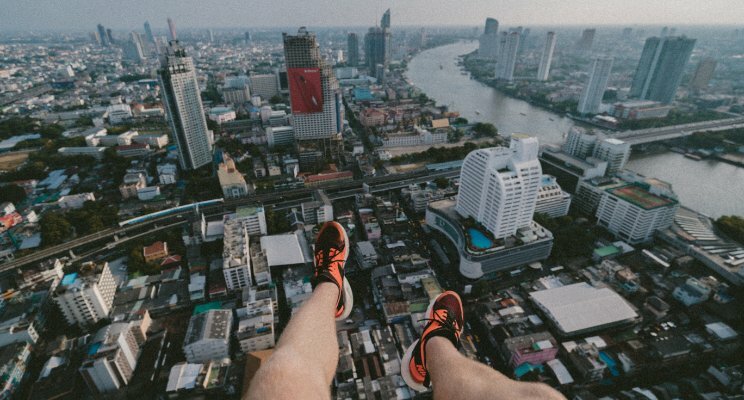 It may sound like the title of this post is completely counterintuitive, especially coming from a devotee of VR for over 2 decades. 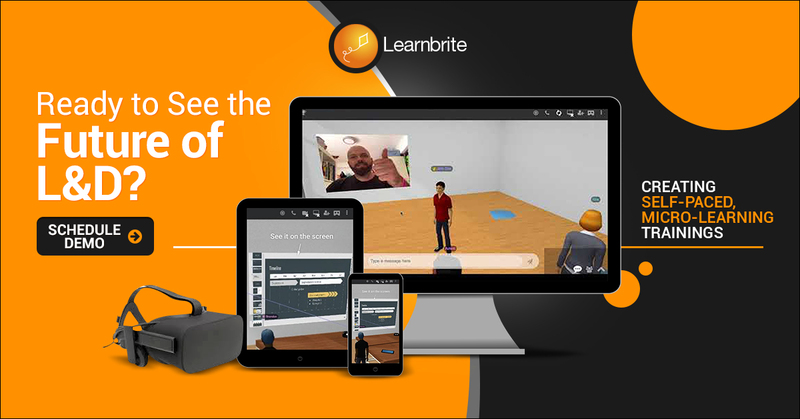 Let me explain…VR offers some incredible advantages for engagement and attention in learning and training. VR is another step up for serious games enabling users to fail in safety, learn from choices, operate in impossible, impractical or hazardous environments, perform motor memory tasks, and offers incredible data for performance assessment. In fact, take a look at this infographic from PWC outlining just some of the ideas on where VR in enterprise applications is heading. So why isn’t VR learning what you need next? I’ll get to that in a moment, but first let’s look at The VR Chasm. I was recently a judge for Serious Play Conference for Serious Games which highlighted this chasm in VR applications for organizations. Its fantastic that the VR ecosystem is growing. However very few VR companies are thinking about maximizing audience reach and adoption beyond VR itself. Nearly all VR companies are targeting VR-only experiences. By this I mean applications that must be experienced in VR equipment. If you don’t have the VR equipment you can’t experience these newest innovations. The VR Chasm is the gap between solution value that requires a specific set of VR equipment and the audience wanting to engage with that value. I define solutions that bridge the chasm as ‘VR-Ready’. Through this lens it’s easy to quickly see if a solution, creator or provider has a focus on the widest possible value creation. Though, there are always exceptions of course where value creation is inextricably connected to the unique capabilities of particular VR hardware. But, being VR-Ready means being platform agnostic, having an experience work on mobile, tablet, computer or in VR/AR. This allows you to expose everyone in the organization to the potential value of VR and higher engagement. Getting buy-in to the widest audience possible in an organization is important to determining the greater value VR can bring. It also assists in getting traction and acceptance while working on the challenges below. Ultimately this leads to a sustainable business model where the VR-Only door is not a barrier but a value-add as and when it opens. By contrast, VR-Only solutions tend toward being only available in one particular VR hardware suite (ie it is only developed for the Oculus Rift or the HTC Vive, but rarely for both). 1/ What Is Your Trainee To Headset Ratio? Most organizations don’t have many or any VR equipment. For example one of our clients has over 50,000 staff all over the globe and owns a handful of virtual reality headsets. How many headsets does your target audience actually have? Is there an expectation that they should buy new hardware to engage in the experience? Where is the audience located, are they at many locations? Would it require you to ship headsets around to allow people to have experiences? How many users could go through an experience per hour per day if there are limited headsets? A VR-only solution would require staff to visit the headset location while only a few people at a time could access the training experiences. Compare that to a platform agnostic, VR-Ready solution where the learning experience works on mobile, tablet, computer or in VR/AR. That means getting buy-in for the widest audience possible in an organization without the headaches of convincing procurement that VR isn’t just for video games. 2/ Is Your Organizational Hardware Up To Snuff? Running room-based VR requires high performing computers and graphics capabilities. Today many large organizations furnish their staff with laptops for portability however these typically do not have the grunt required to run immersive VR and can not be upgraded. There are now a selection of laptops that can support VR. If you are used to portability prepare to go backwards a step though, these are more costly, heavier and noisier with lots of fans to cool these very powerful machines. Equally with mobile VR you will need a recent Samsung phone for Gear VR and for Google DayDream View you have a small selection of the latest model phones. Although the mobile headsets are pretty affordable you’ll need your audience to already own powerful phones or provide them which quickly adds cost. Of course there is always Google Cardboard or the $20 plastic cardboard alternatives, be prepared for a sub-optimal and sometimes nauseating experience with these, however this does allow VR on a wider variety of phones. Most of today’s VR experiences are created in game engines such as Unity or Unreal Engine, these tools do their best to optimize for performance however most solution creators aren’t coming from a lifetime of games creation and performance optimization. VR experiences tend to be bulky and resource hungry. VR-Ready solutions address this issue by looking at content that gracefully degrades to meet target devices or layers functionality (progressive enhancement) based on the type of equipment being used. The computing power necessary to run VR-only experiences smoothly comes at a price. Expect to pay at least $1,200 per computer plus $300 for an entry-level headset and you can see that things really add up fast even at a small company. Going the VR-Ready route means you can train an infinite number of employees on existing hardware or they can even use their personal devices to squeeze extra training in on the go. We have a portable VR Arcade we take to organizations to demonstrate the capabilities of VR and AR equipment and appropriate solutions. Invariably there are setup and configuration issues. The rapid pace of software deployments and updates for VR equipment is almost weekly. Setting up virtual boundaries so users know where walls are. Scanning environments for AR. It all takes time and when something goes wrong even a great technical team sometimes can’t create a fix. If that was the only way to show a solution you can end up having wasted the time of participants. Mobile solutions such as Google DayDream View and Samsung Gear VR provide less issues compared to PC based equipment. However even they can demand software updates at inappropriate times. Being VR-Ready means there is always a fallback, experiences can be shown on existing equipment such as tablets and smartphones using through touch or using highly interactive magic window mode. In 2008 we launched a technology that transformed the entire internet into one seamless metaverse. Every website transformed into a VR space where people could meet as avatars. Website links became portals you could travel through, in this manner you could explore the entire internet in 3D. The solution we provided was a browser add-on. Getting people onto the platform was always a challenge as it is for any app today. We had 30% of people visit our site install the add-on. We thought that was fantastic and compared to others we spoke to… and it was! Still, that means 70% of people never got to experience the 3D internet. The larger an organization is, the more it tends to create systems and procedures and for good reason; so much is going on you need consistency. If changes are made to infrastructure and it affects thousands of users your support desk could be overwhelmed, productivity could evaporate or the organization could even grind to a halt. This means many organizations have processes to go through before considering changes. For VR this presents a major, often insurmountable, hurdle. VR equipment requires custom software and installation. An organization could buy a dozen VR headsets to find users can’t install them with the IT policies in place. An alternative is having a set of specific computers and VR equipment bundled together but not connected to the IT infrastructure. Standalone equipment like this leave solutions outside the organization’s information networks. VR-Ready solutions are able to leverage content from within the organization into experiences to increase timeliness of information, personalization, assessment and improve ROI. No extra installations also means that your IT department will also spend less time trying to keep up with all of the firewall permissions and system requirements that can take valuable time out of their day when you have thousands of terminals that potentially require individual attention. Vive has SteamVR and Viveport. DayDream uses your Google account. Oculus Rift and Samsung GearVR uses either an Oculus or facebook account. New HP and Acer headsets use a Microsoft account to install apps. Sony Playstation VR uses a Playstation account. Who owns the accounts? Does each user have their own account? Do they have permissions to install Apps? Does a credit card need to be added to each account? A solution that doesn’t require an app store is ideal as long as the solution is easily accessible. Web based VR Ready solutions fill this gap nicely. 6/ What About ‘Real World’ Space? VR systems like Vive, Oculus and Mixed Reality require room space, while mobile headsets which can be experienced standing or sitting still need enough room to turn around. At organizations I’ve visited VR equipment is not always in use, however given the pains of setup and configuration and throughput of users I mentioned earlier, rooms are setup ready for VR. It would be interesting to know the percentage of time these spaces remain unused vs the ROI. Usually any space allocated needs to be clear of furniture restricting the use of the space for multiple purposes. Multiply this out for the number of rigs you have and it can be a challenge. If there isn’t a dedicated space you’ll need to setup and pack up somewhere. Depending on your organization you may need to book a meeting room and be sure everything runs smoothly in restricted time. VR-ready allows for experiences at the desk, on the phone and when needed in room-based VR. Whether it’s a VR meeting, a serious game or self-paced training allowing access across devices means it’s always on. 7/ Shouldn’t Globalization Be, Well, Global? We are always the first to sign up for new VR equipment.I travel a fair bit for work and we have a small team in Spain. I bought a Hololens with me one trip and showed it around, a year later I checked and still no one had access to the devices. VR equipment is not universally available and different countries get access at later dates and sometimes never. With more and more global organizations and a staggering increase in remote working you can’t expect all staff to be in the same location as the VR hardware. There is no reason to exclude remote colleagues from taking part in experiences and waiting for VR to become pervasively available. With a VR-Ready approach inclusion can be maximized with the promise of richer more immersive experiences in the future. Just like app stores, a user’s avatar is also trapped in that walled garden. Google have hinted at Avatars for watching YouTube videos together. For ILT or conferencing it may be important that participants consider appropriate outfits or qualities that fit with the organization’s policies. What innapropriate actions can participants perform in VR? Can participants be given access to learning and training and provided with their own avatar, or do they need to go through an individual sign up process? Can you launch training through standards such as LTI? Can the avatars be restricted to the organization’s domain? The solution is often called single sign-on. We’ve started a web-based initiative called UniversalAvatars which aims to solve some of these issues. Allowing organizations to determine clothing options and for avatars to interact across any device. 9/ Will Virtual Reality Training Lead To REAL Security Concerns? If you’ve ever installed an app and marvelled at all the permissions they require to operate you know what I mean… why does a calculator app want to know my location!? What data is being collected, recorded and shared by VR apps? Is content being uploaded into apps that must stay within the organization? Do you really want to be uploading 360 videos of your warehouses or security training to YouTube of facebook? Ideally VR experiences can draw from internal organization content without needing it to be sent outside the organization’s boundaries. Web security is a core consideration for most organizations, with systems in place to manage risks. Web based VR Ready solutions align with existing structure and policies reducing (or in many cases completely meeting) privacy and security due diligence. Experiences need to be designed to avoid causing nausea. There are plenty of games and 360 videos which are guaranteed to make the majority of your users ill.
Make sure your experiences are designed well to limit movements in contradiction to the users own movements. Experiences where a user is in a space that matches the physical room dimensions or the use of instant teleportation to a new location rather than having them fly/walk their avatar to a new location will both help to eliminate simulator sickness. Being VR-Ready offers alternatives. If someone doesn’t want to use VR because they have had bad experiences in the past, are uniquely sensitive, or simply don’t want to mess up their latest trip to the hair stylist use AR or use a tablet as a ‘magic window’ into the VR world, these are good alternatives and fit with the VR-Ready formula. There are a small set of players in the VR market, choosing a headset will also determine what tracking and hand controllers you use and also to which content you have access to and may determine what content you can produce yourself. Lets see what solutions these big players bring to market in the next months. If you are creating content consider web based VR-Ready solutions as they can work across all these allowing you to consider or swap to a prefered hardware solution at anytime. 12/ Wait, You Need Scores Reported To Your LMS Too? The ultimate integration platform is the web. Hundreds of thousands of different services and applications able to extend and leverage each other to create great value at economies of scale. Large organizations invest heavily in systems to improve their operations. Building custom applications in game engines can (possibly) integrate with enterprise systems however as has been the case with the history of serious games, these become hard to maintain and require uniquely talented staff to make changes. Consider how integrating and leveraging existing systems in your organization might provide a greater outcome for users and a better ROI for the organization. Deploying a VR-Ready solution designed for the enterprise L&D landscape means you’re getting to plug-and-play with your existing infrastructure. This keeps things consistent and helps you quickly determine the effectiveness of the training when compared to previous learning initiatives. 13/ How Well Will VR Do As On Its ROI? I spoke recently to one educator who had some time ago purchased a suite of electronic white boards for all their classrooms. It was exciting, there was a promise of improved productivity and engagement. But now the features they were bought for remain unused. At the moment we see organizations buying a few headsets to experiment with, and I’m yet to run into a procurement department that has approved headsets for a whole division. A room based VR setup with headset and dual hand controllers can be put together for under $2000. A mobile headset with hand controller around $100 plus the cost of a recent phone around $700. Newer VR headsets compatible with Microsoft’s mixed reality are around the $400 and still require a reasonably powerful PC. Building a serious game can cost around $200,000. For a basic VR learning or training experience built in Unity or Unreal depending on the scope can cost upwards of $50,000. If you are contemplating collaboration and multiuser learning experiences for VR the costs go up further. A VR-Only perspective requires these resources and limits access for all the reasons covered above. Being VR-Ready allows organizations to get the highest ROI, bringing all users into the fold and progressively enhancing the experience depending on the VR equipment available. If you have been around long enough you’ll remember the difficulty of delivering online video (Formats, codecs, software plugins, streaming rates, device compatibility). Today video distribution is easy and a powerful tool for learning. You can almost guarantee playability on any device. Today 3D content is viewable in browsers. All major devices, platforms and browsers support this medium. It’s a fundamental shift, the 3D media type is the core building block for VR and AR and its now universally available. It’s early days yet, there are only a few toolsets for building web deliverable VR such as Mozilla’s A-Frame, Facebook’s ReactVR and Microsoft’s BabylonJS. There are fewer still that address the needs of instructional designers and learning architects rather than programmers. However it’s the right time to get involved and start exploring. With a VR-Ready mindset your time won’t be sunk, it will be invested allowing you to make informed and strategic decisions that are effective, efficient and future-proof.